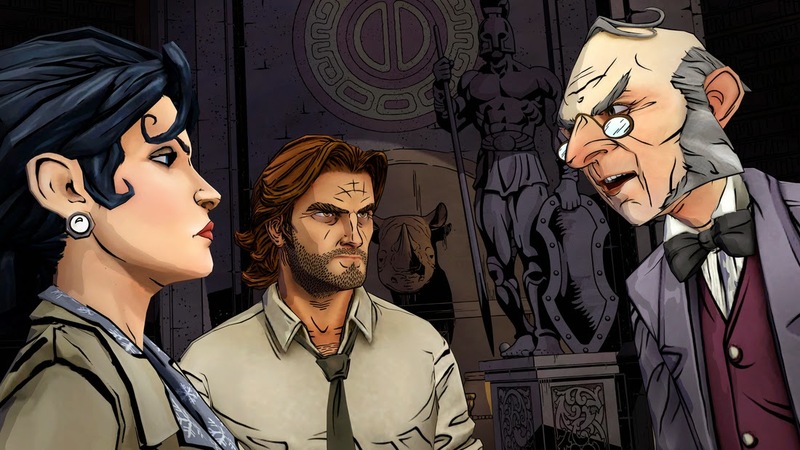 Following up on their success with The Walking Dead video game, Telltale has chosen to tackle another comic book property in the form of a precursor to Fables. 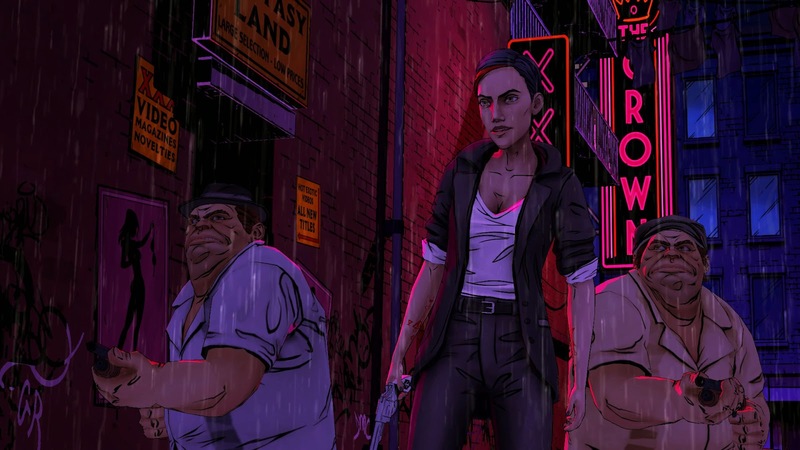 Titled The Wolf Among Us, the game is built upon the same engine used for The Walking Dead, and thus requires players make time-sensitive decisions and responses that will alter the way the citizens of Fabletown react to them. 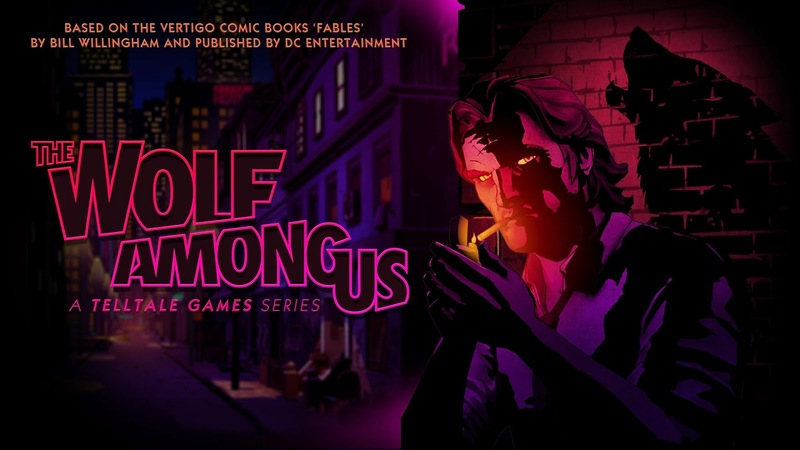 The story is centered on Bigby Wolf, sheriff to the magical folk now living in hiding among the commoners (or ‘mundies’, as they are referred to in-game) of New York. What begins as a visit to the Woodsman’s apartment to break up a domestic disturbance quickly leads to something much larger – murder, hired thugs, and magical artifacts simultaneously detract and aid Bigby’s mission to seek out the truth behind what is really going on in the shadows of Fabletown. The true nature of the story is, intelligently, left somewhat ambiguous until the final two episodes. While the ultimate payoff is not the most shocking or creative spin on a detective tale, the journey there is certainly worth the trouble. What makes The Wolf Among Us so noticeably different from The Walking Dead is that it is, first and foremost, a detective story, and as such, Bigby will spend most of his time digging through desk drawers and basements for evidence, as well as gathering clues from Fables like Ichabod Crane, Beauty, and her lover Beast. However, there is plenty of action to be found, and when Bigby find himself in a scuffle with a drunk and belligerent Woodsman or chasing Tweedledee and Tweedledum through back alleys, acute attention to button prompts may provide Bigby with a means to more quickly gain the upper hand on a situation. The art style is similarly cel-shaded as The Walking Dead, with pale color palettes filling in the background, and thick outlines around most characters and objects. Yet, it isn’t overbearing. Rather, the art style is perhaps even better suited for the likes of mythical beasts in a contemporary urban setting than small groups of survivors attempting to outlast the undead. The soundtrack is less extravagant, opting for soft, eerie chords during investigative sequences, and saving the boisterous action themes for – well – the aforementioned fights and chases. If there is one noteworthy downside to the presentation factor, it is that the individual episodes have a tendency to lag at odd points, sometimes messing up your ability to quickly react to button prompts – a tad strange, considering it is a single-player experience released in episodic format. One would hope that these occurrences would become less frequent/nonexistent in later chapters, but alas, they remain a small blemish even in episode five. A pity, considering how much these hiccups distract the immersion otherwise perpetuated by the strong balance of fantasy lore and modern jargon in the writing and voice acting. As a whole, the series is paced very well, with each episode clocking in at roughly an hour-and-a-half. Sure, the introductory episode serves primarily to set the stage for all that is to come, but it too has its fair share of intrigue and intense standoffs. Admittedly, the finale, while technically about the same length as the other episodes, feels as if it is cut a bit short, and another half-hour could have easily been added on to better cushion the endgame as well as provide greater closure for a couple of characters. Still, the series does well to close its final chapter on a note that both seals the current story and opens up enough possibilities for future seasons.